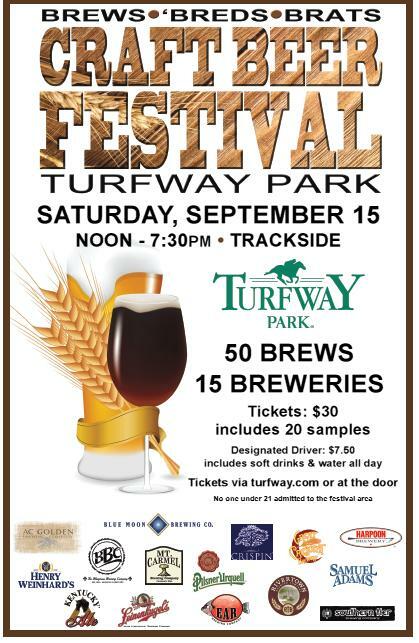 This event flyer was passed on to me from the folks at Turfway Park. It seems like a unique event; where else will you be able to sip craft beers and put some cash down on a longshot at the same time? It looks like a mix of the Big Boys (Sam Adams, Leinenkugel, Harpoon, etc.) and local breweries (Great Crescent, Rivertown, Mt. Carmel, Red Ear). Anyways, it’s always great to see new events celebrating better beer, so here’s to a successful day at the track!